October imports just keep on coming, forcing Indonesian prices lower. 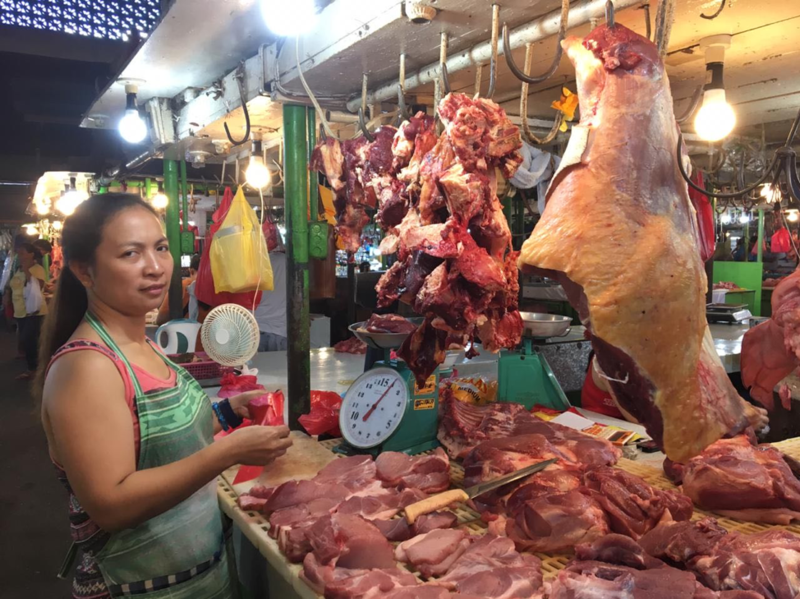 Vietnamese slaughter cattle prices on the rise. Northern Territory wet season fails. The seemingly never ending tail of the October 2018 shipments remained the major market influence during March with the excess of overfat cattle continuing throughout March and on into April. The result has been a further deterioration in the price with feedlot gate discount prices quoted as low as Rp37,500 per kg live weight in Lampung. This is an extreme case however with the general steer price averaging around Rp38,500 during March. Higher rates, up to Rp41k or better are available for top quality stock with high yielding, low fat carcases. With the general election due on the 17th of April it looks like the market will remain flat for a while yet as attention focuses on politics rather than consumption. Surely the October hangover must end in April. The only bright spot for lot feeders was towards the end of the month when the Australian CIF price dropped to USD$2.65 or about Rp38,000 per kg landed Jakarta after feeder steers delivered Darwin fell to around AUD$2.85. The actual landed feedlot price rises quite a bit once government charges, logistics costs and weight losses are taken into account after delivery from the port to the feedlot. At least the trading loss on arrival is close to zero so the feedlot can concentrate on making their margin through an efficient feeding process. Preliminary statistics for imports indicate that as many as 56,000 cattle have been shipped from Australia during March to top up the well over 40,000 imported during February so feedlots should once again have plenty of stock on hand ready for the post Lebaran period. No doubt the weakening Australian prices had a lot to do with this surge in March imports. The failure of the wet season for most of the Northern Territory and parts of Queensland and the Kimberley continues with generally low prices for cattle across the region as producers reduce their stocking densities in the expectation of a long dry season with very little grass to maintain their remaining breeding herds. It is now so late in the traditional rainy season that producers can be virtually certain of a failure of the monsoon so they will have already made their plans for herd reduction and in many cases will either be preparing to or have already carried them out. This current over supply resulting in lower prices will inevitably become a shortage of stock and much higher prices later in the year. One of the best supermarkets is Bali is the “Grand Lucky” in Sunset Road where they stock an excellent selection of products from local suppliers and around the world. the beef selection is good but the prices are expensive with the knuckle above selling for Rp221,500 (AUD$22.15 per kg). This fresh beef is produced from locally grown and slaughtered Bali cattle. Rp214,500 or AUD$21.45 per kg for knuckle, topside, chuck tender and shankle soup meat! 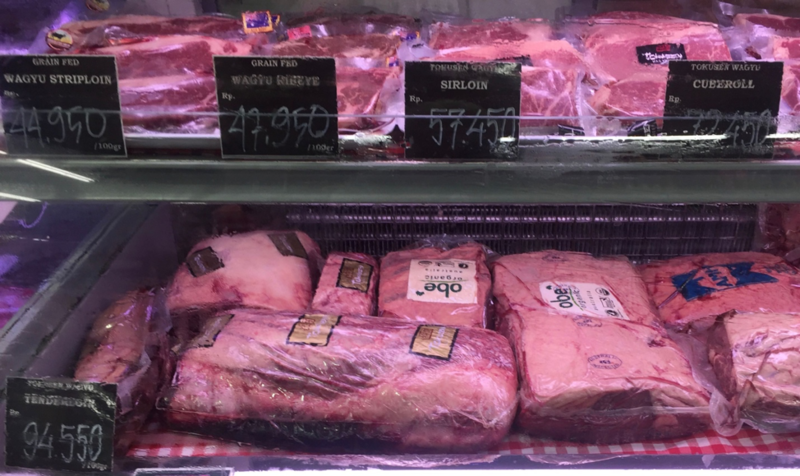 The top shelf and the bottom left is Tokusen Wagyu cuts ranging in price from Rp44,950 (AUD$45) for striploin to Rp72,500 (AUD$72.50) for cuberoll and Rp94,550 or AUD$94.55 per kg for tenderloin. Tokusen is the locally produced Wagyu bred and fattened by Santori in their Jabung facility in South Sumatera. The balance of the imported display is Aussie product. Prices have jumped by Dong1,000 per kg (about 6%) live weight in all classes of stock in both the north and south of the country so I have lifted the indicator price to Dong73,000 per kg this month. 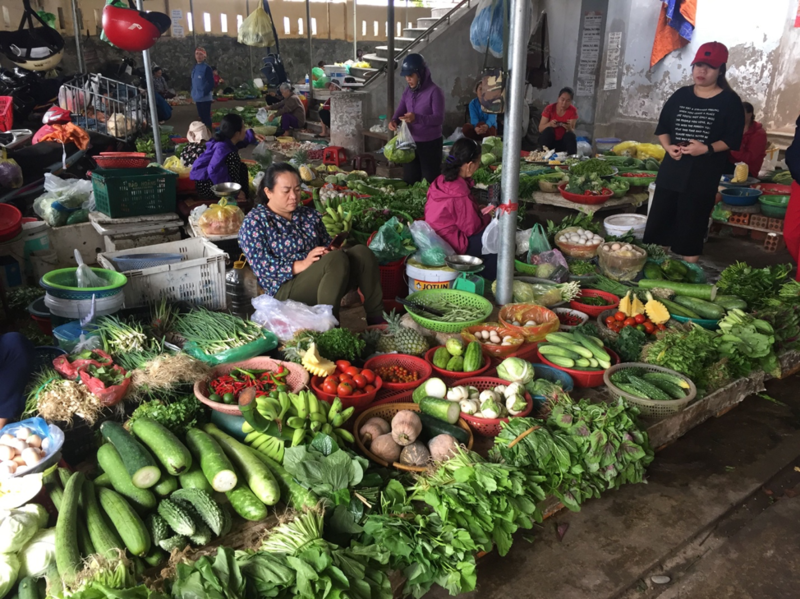 The Vietnamese trade is definitely evolving towards a larger proportion of feeders as the current industry players consolidate their positions now that the distortions of the earlier market are well and truly behind them. Now there are only serious cattle traders and lot feeders in the industry focused on the best way to make money which, once they become efficient at fattening, is by adding value to feeder cattle rather than relying only on a trading margin from slaughter animals. See the photo below of the entrance to the Cua Bac traditional market in Ben Thanh in the centre of Ho Chi Minh City. The lower photos are of the beef section of this famous old market which is well worth a visit. 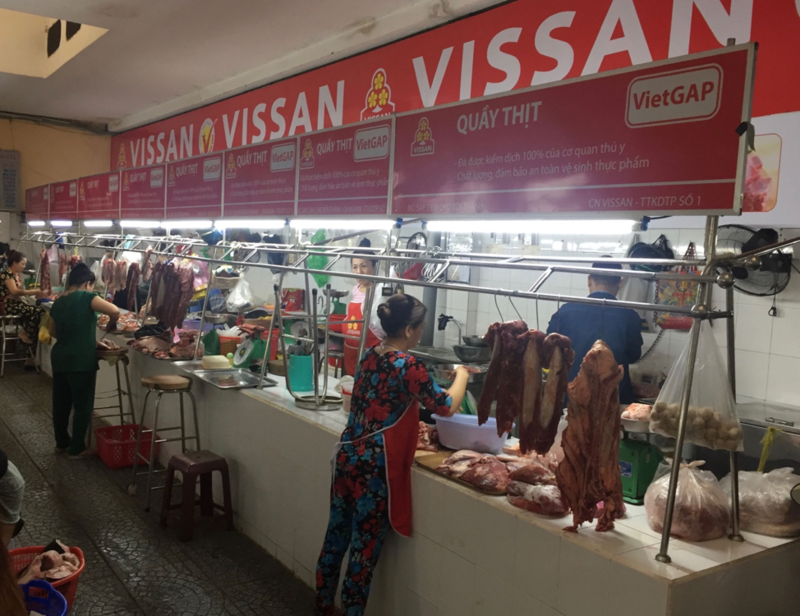 Vissan is one of the major processors of beef in Ho Chi Minh City with a large number of well-presented stalls in the market. Some of the Vissan beef stalls getting ready for the early morning rush. Clean, fresh and well presented with a wide range of beef and offals. I took this photo in the wet market in Dong Hoi on the coast about half way between Da Nang and Hanoi. The single meat stall was dreadful so I thought this beautiful fruit and vegetable display was worth a photo instead. Prices remained steady during March with the currency movement responsible for most of the change in AUD price above. The notification of new African Swine Fever outbreaks seems to be slowing down but the full consequences of the collapse in production won’t fully appear until the interrupted production cycle presents dramatically less grower numbers in the market at some point later this year. Slaughter cattle prices have stabilised albeit at this very high level of 172 Pesos per kg live weight. 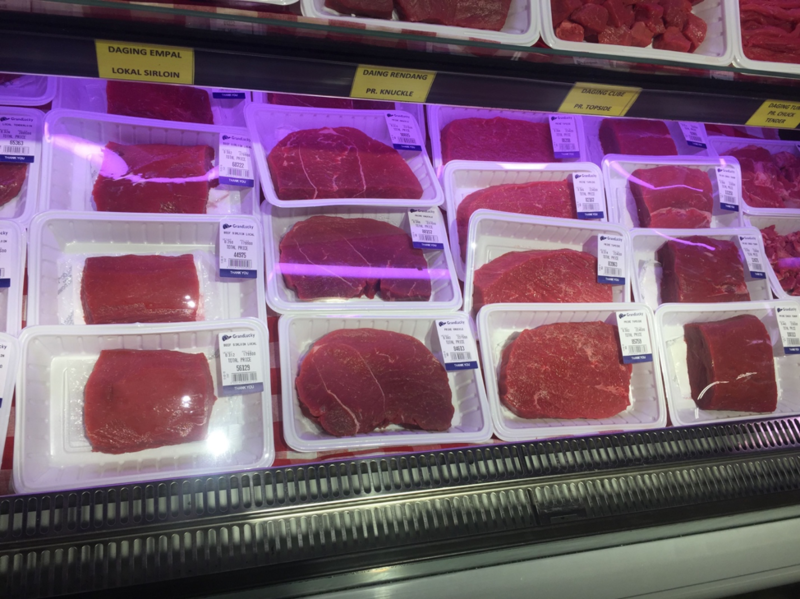 Wet market and supermarket beef prices have also levelled out while the general economy continues to be buoyant. I am advised that this very high price for local cattle has only translated into a small number of imports of Australian slaughter cows so far but if these prices continue then Filipino live imports are likely to make a useful comeback. George Black was back home in the Philippines during March and sent these photos from the wet and supermarkets in Davao, Mindanao. Photo from George. Toril public market in Davao City. 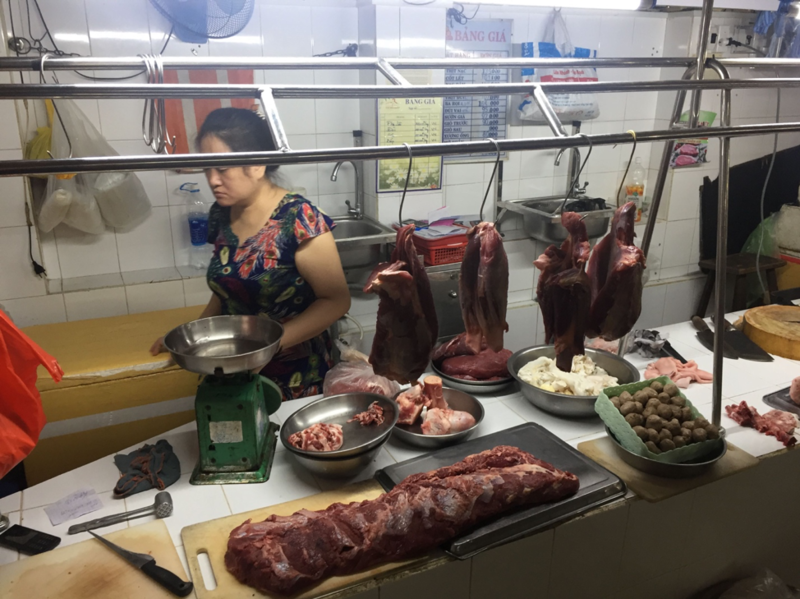 Beef selling from Peso320 per kg (AUD$8.57). 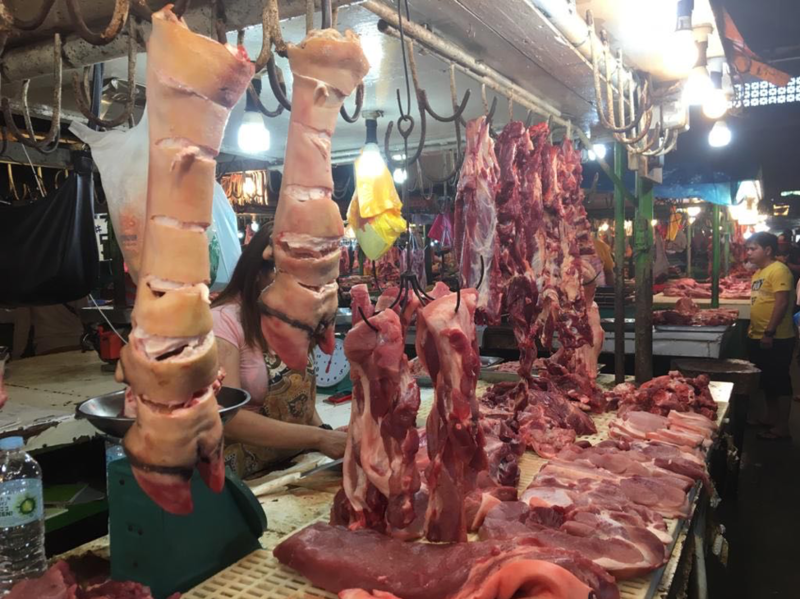 Photo from George: Another well-presented stall in the Toril market where these legs are selling for Peso150 per kg (AUD$4.02). Photo from George. 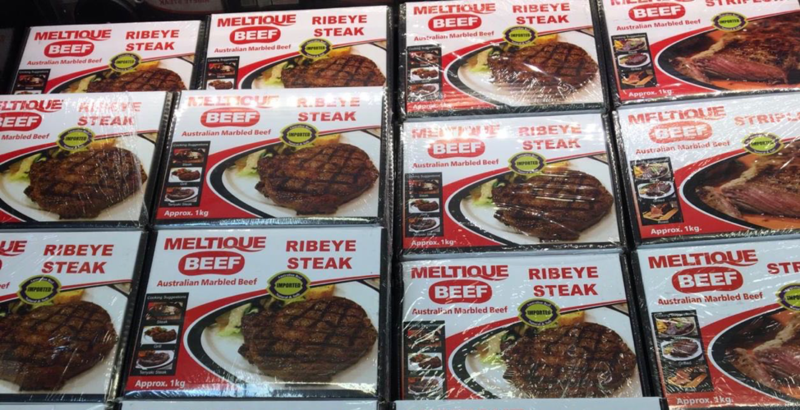 Aussie frozen beef in a Davao supermarket @ Peso 1,200 per kg or AUD$32.17 per kg. No report for this month except for advice from one local feedlotter who says prices remain similar to last month at about 98 Baht per kg. Local Charolais cross feeders are selling for 96 baht per kg live weight for good types. 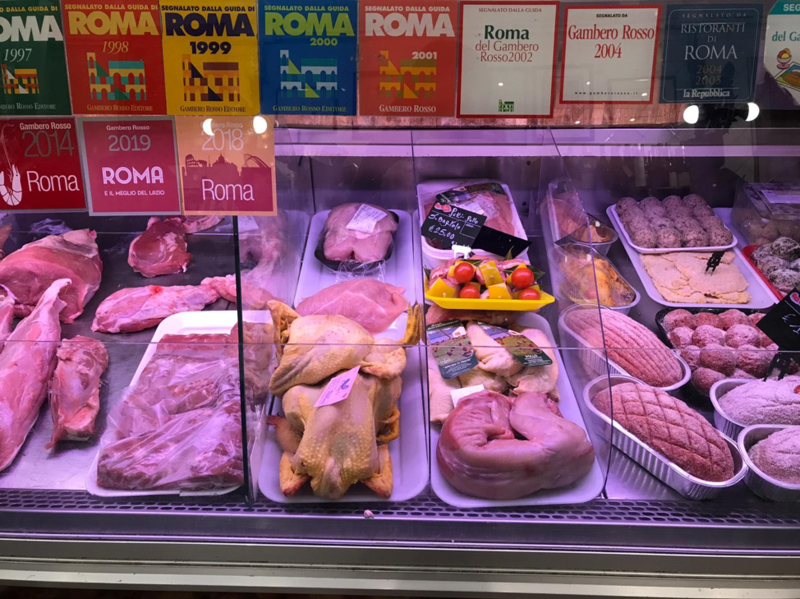 Don’t plan on buying your meat products in Rome unless you have just won the lotto. My daughter Zealie visited Rome during March and took these photos. The selection of products is magnificent but these prices are outrageous by any standards. Photo from Zealie : Bull Bresaola 69 Euro per kg or AUD$108! 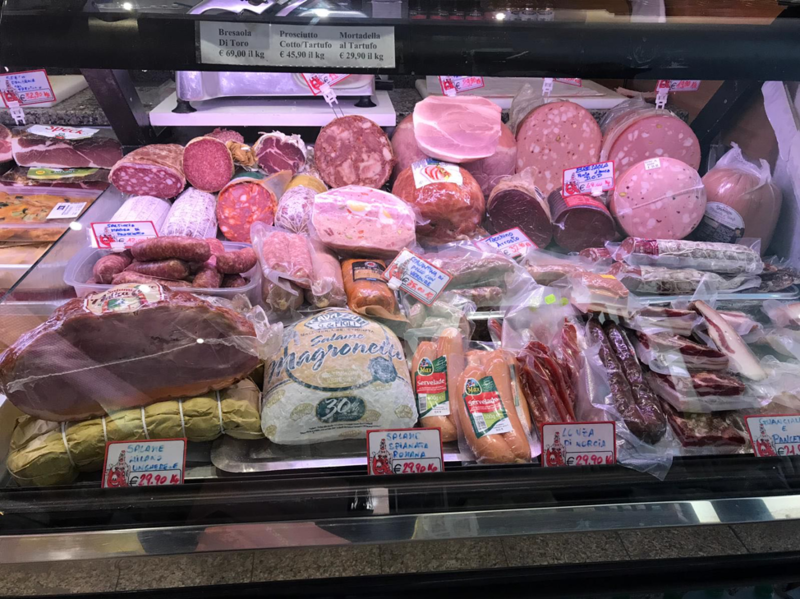 Prosciutto for 45.90 Euro or AUD$77.95 per kg, etc.etc. These figures are converted to AUD$ from their respective currencies which are changing every day so the actual prices here are corrupted slightly by constant foreign exchange fluctuations. The AUD$ figures presented below should be regarded as reliable trends rather than exact individual prices. Where possible the meat cut used for pricing in the wet and supermarket is Knuckle/Round.